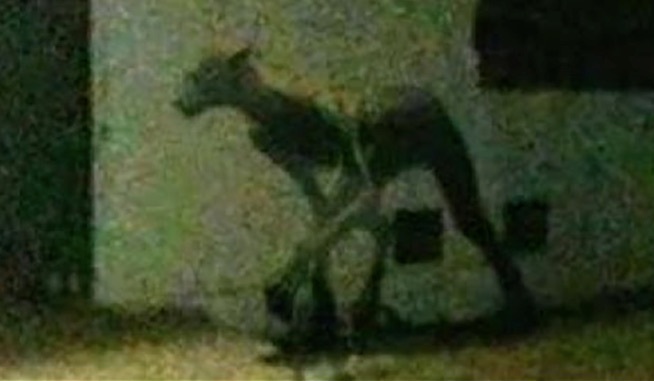 A resident of Santa Fe, Argentina snapped this photo of a horrific beast that allegedly is killing dogs in the town. It's said to be 7-feet-tall and resemble a cross between a horse and El Chupacabra. YouTube channel UFOmania reported on the creature so perhaps the most reasonable explanation is that it's an evil extraterrestrial that hates doggos.